Beautiful! 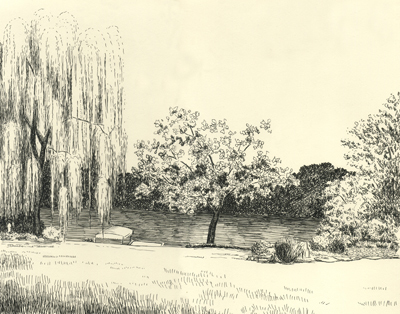 Weeping Willows are my favorite trees! I also really like this work. It brings out in me the feeling of a lazy Sunday afternoon along an English riverbank. I can almost see Ratty and Mole oaring along (The Wind in the Willows, by Kenneth Grahame). Keep up the excellent work! Thanks for the kind words! I forgot all about Ratty and Mole, but they sure would fit right in here!